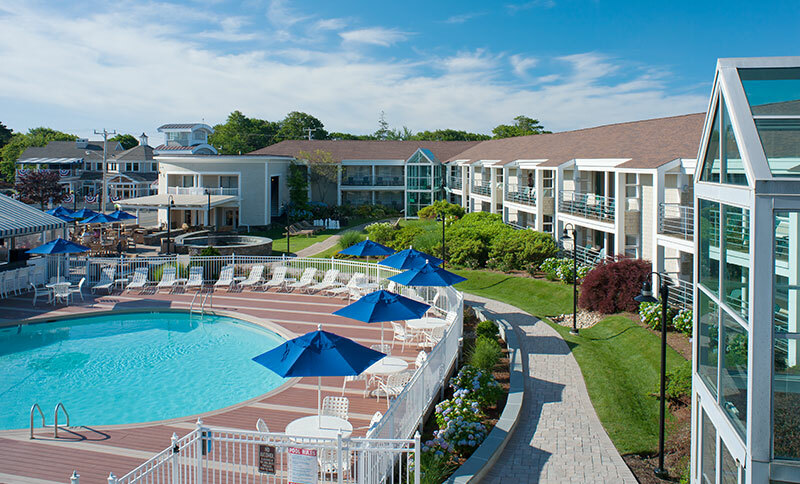 Perched on the edge of historic Hyannis Harbor, our resort style hotel is the perfect Cape Cod vacation destination. 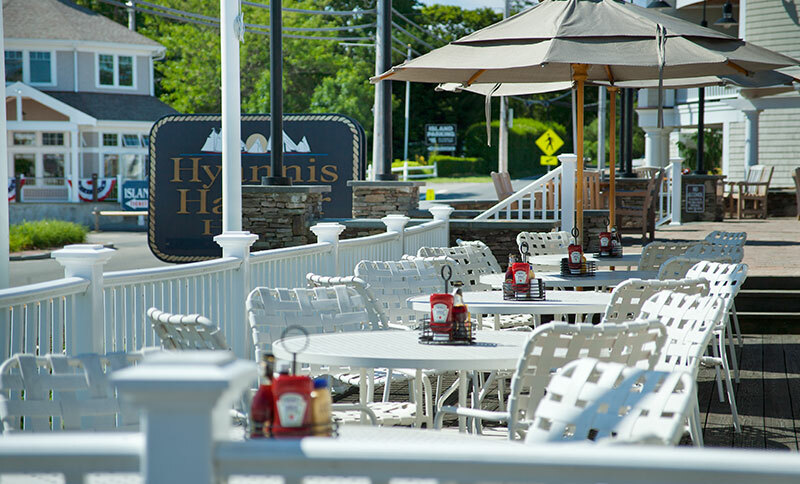 With its coastal charm and authentic Cape vibe, Hyannis Harbor Hotel is a place where families and romantics can relax, make memories, explore and enjoy the view. Unwind in our beautiful lobby with two-toned nautical wood floors and a stone fireplace. Relax on the outdoor patio and sun deck or take a swim in our seasonal indoor and outdoor pools with sweeping harbor views. Savor fresh local seafood and New England cuisine at the Bluewater Grille at water's edge. Charter a boat and sail into the harbor, explore beaches, or walk along the harborfront to village restaurants and shops. Or simply kick back by the glow of the fire. Relax and unwind on our private outdoor patio with sweeping views of Hyannis Harbor and the colorful boats sailing into the Nantucket Sound. Gather with friends around the stone fire pit on a summer evening. Sip cocktails under starry skies and breathe in the fresh ocean air. Embrace the laid-back lifestyle and the easy spirit of Cape Cod. Our harborside restaurant and bar, Bluewater Grille, serves delicious local cuisine and fresh seafood in a casual setting on the water. The menu celebrates Cape Cod with our seafood options. Enjoy your favorite beer or cocktail and savor a true taste of New England. Try our new fitness area and work up a sweat! 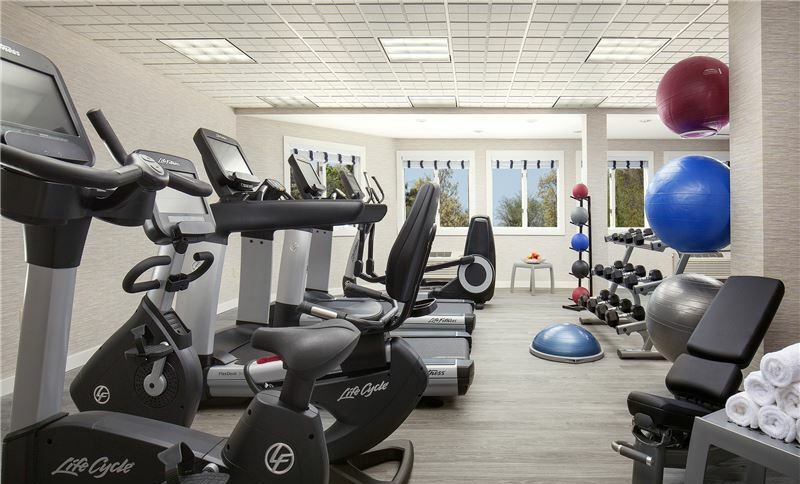 Our fitness room offers state-of-the-art equipment that will leave you feeling strong and energized. After your workout, take a dip and refresh in our outdoor pool and sundeck. You can also relax in our indoor swimming pool and hot tub. After your workout, leave feeling refreshed and ready to take on the day. 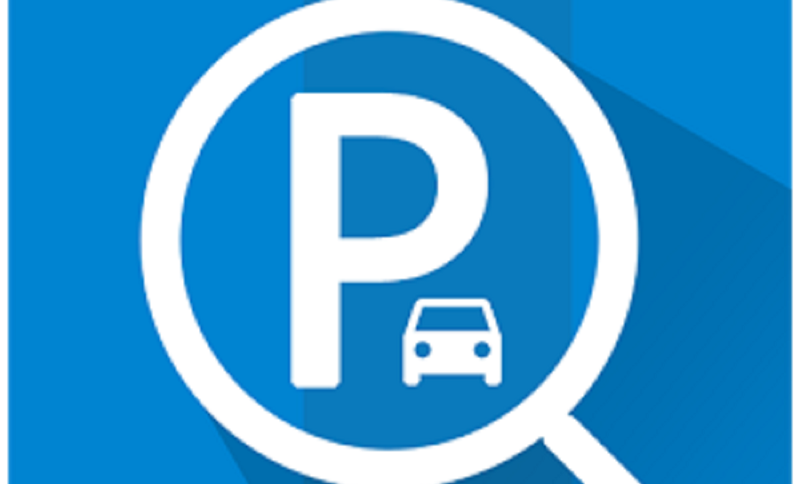 We are pleased to offer unmatched convenience and savings with our on-site parking. Parking at the Hyannis Harbor Hotel is available exclusively to hotel guests at discounted rates compared to other harbor front parking locations. We charge per overnight stay versus per calendar day which makes our lots half the cost of others. In addition, our parking allows for unlimited in-and-out trips which are not allowed at other lots in the area. Parking charges may vary based on the season.